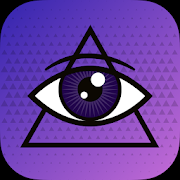 ChatWatch APK allows its users to creepily spy on their friends on WhatsApp. Within a very short period of period of time, the app becomes very popular all around the world. Whatsapp which promises end-to-end encryption for chats may not be safe as it claims to be. Because with the help of ChatWatch app one can easily keep eyes on his/her friend, girlfriend, boyfriend and family members whatsapp activity. This app can tell you how often your friends use Whatsapp and estimate what time they go to bed and wake up each morning. ChatWatch APK Download is exclusively available for our users and it can be downloaded from the link given below. 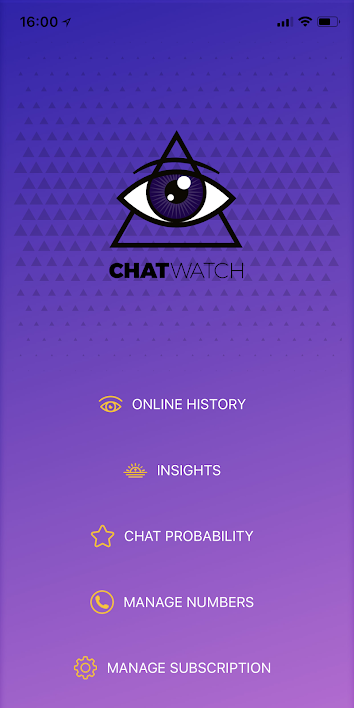 At first, ChatWatch was launched for iOS users. And now the app is available for both android and iOS users. Android users can download the app for free from Google Play Store. Users can also buy the premium subscription of the app to try advanced features of the app. By paying $1.99 (Rs 140) per week you can monitor two users’ WhatsApp activity. Means the app will analyses data of two users and figure out how much time they spend chatting on WhatsApp.Not only that ChatWatch can also check at what time they are chatting. Now lets have a look at the key features of the app. Easy to use, lightweight app to monitor whatsapp activity of your friends. Check when your friends or contacts are online on WhatsApp, even in cases when ‘Last Seen’ feature is disabled. This app will compare two numbers of your choice for example, your girlfriend and her cousin, and compare their activity to tell you exactly if they had a conversation or not. Check online history of your friends and how much time they spend on WhatsApp chatting. The app also gives you an idea of what time your friends fell asleep and woke up. These were the interesting features available inside the app called ChatWatch. After reading the key features of the app you might think in your mind that this is a very interesting app. Yes, it is. Now lets come to the download part. We know you are eagerly waiting to get the app on yor android smartphone. Thanks for your patience. You can download the APK file of ChatWatch in next step. It is easy to download ChatWatch APK on your android smartphone. You can also download the APK file on your desktop. To initiate download process you need to click on the above download button. And within a moment the downloading process will start itself. Once completed save the file on your desktop. How To Install ChatWatch App On Your Android Smartphone? Open your file manager and search for the APK file of ChatWatch. Once you find the file, tap on it and follow on-screen instructions to initiate the installation process. That’s all. within few moments the Whatsapp spy app would be installed on your android smartphone. Congrats! You have successfully installed ChatWatch APK on your android smartphone. To use the app, go to app drawer and tap on the icon of ChatWatch.